Spa Miami Beach: What Is A Vampire Facial? If you have heard of vampire facials before, you probably think of Kim Kardashian’s dramatic selfie after her treatment. The picture may look scary – and the term “vampire facial” probably doesn’t make it sound any better – but these treatments are an amazing innovation in the world of health and beauty. Beach Beauty Health Spa has been helping local beach lovers, tourists, and celebrities look and feel their best for more than 10 years, and we are proud to offer this cutting-edge facial at our oceanside location in Miami Beach. Keep reading to learn more about this procedure and call Beach Beauty Health Spa today to make your appointment! Why Is It Called a “Vampire Facial”? The intriguing name of a vampire facial comes from the fact that blood is an important ingredient in the procedure. Your spa professional (a licensed phlebotomist) will take a sample of blood from your arm and use it in the treatment. The key ingredient is actually the platelets within your blood. Vampire or blood facials are technically called PRP treatments, where “PRP” stands for platelet-rich plasma. Platelets are an important component of your blood, like red blood cells, and they carry some impressive health benefits. Vampire Facial is a registered trademark by an early adopter doctor. Platelets contain a lot of healing, anti-inflammatory properties. If you hurt yourself, they are one of the elements in your bloodstream that encourages clotting and helps stop the bleeding. Platelets also contain proteins that reduce inflammation and help wounds heal quickly. 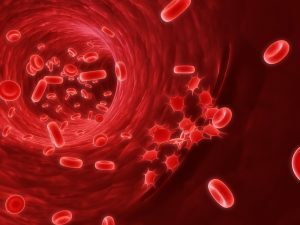 Doctors have been using platelet-rich plasma since the mid-1990s to help patients recover from plastic surgery, and today, PRP treatments are finding a whole new range of uses, from helping athletes recover from injuries to helping celebrities maintain a youthful glow without the injection of fillers or other artificial materials. If you want to harness the power of your own blood to experience amazing health and beauty benefits, sign up for a vampire facial from Beach Beauty Health Spa today! The first step of a vampire facial is taking a small blood sample. It is a quickly, relatively painless process, but if you are afraid of needles and blood, this probably isn’t the right treatment for you! That blood sample is then taken to a centrifuge, which spins at high speed to help separate out the different components of your blood, dividing the platelets from the other cells. Then, those platelets are applied as a “blood facial.” It can be spread on top of your skin like a lotion, but microneedling ensures that the PRP treatment reaches deep into your skin for the best results. Platelets are a natural solution to many of your beauty woes. They can encourage healing, stimulate cell growth and tissue regeneration, and renew your skin. 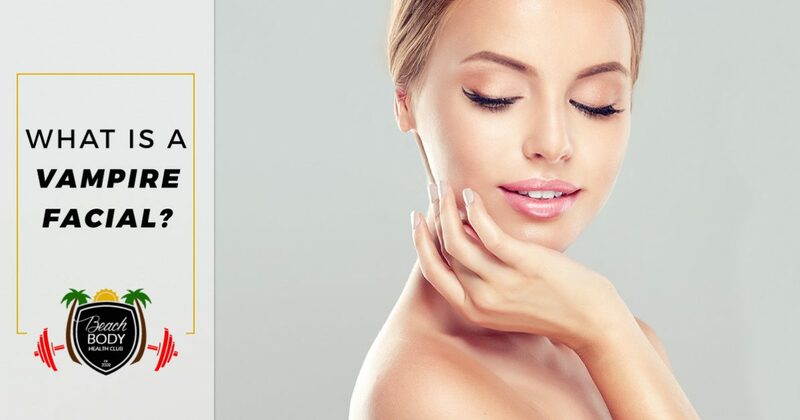 If you want to reduce the appearance of wrinkles and regain the glow you had when you were younger, but you don’t want to undergo something as invasive as a facelift, then PRP treatments are a way to achieve the results you crave. It’s simply a method of using the healing power already within your body to kick start healthy cell growth where you need it most. The best part about a vampire facial is that it uses your own blood, so you don’t have to worry about a bad reaction to foreign chemicals or substances! 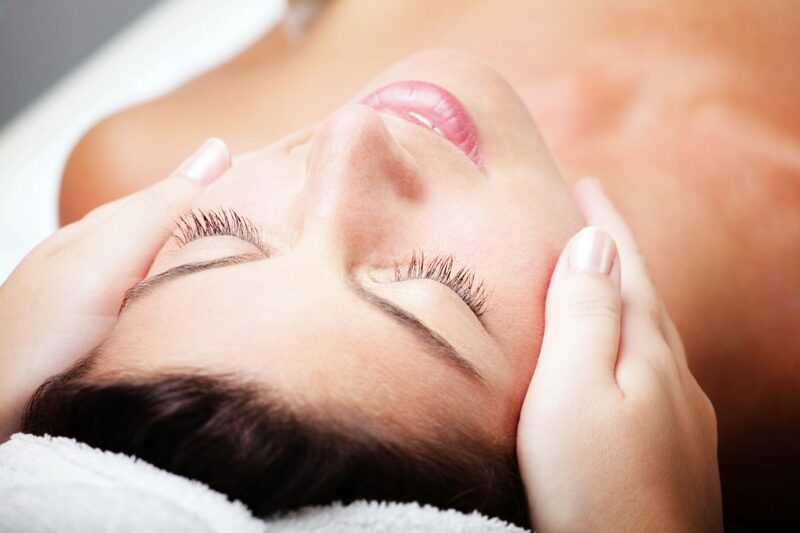 The only side effects you might experience come from the process of microneedling . The face area may be a little irritated, and you may experience some discomfort or tightening of the skin (and that is the expected result). It will heal, however, and you should be able to see the results within a few days. We recommend you take the following day off from work, and stay away from the sun for a day or two. Make sure you give your body the time and space it needs to heal and let the platelets do their work. Your skin will be a little sensitive for a few days, so we don’t recommend that you wear makeup while it recovers. We do recommend moisturizer and sunscreen — protect the beautiful skin that you worked so hard to rejuvenate! For glowing skin and fewer wrinkles, you don’t need to go through a surgical facelift. Harness the healing power of the platelets within your blood and try a vampire facial! Beach Beauty Health Spa has been offering soothing spa services and rock star treatment to local beach lovers and celebrities alike for over a decade, and we are excited to be able to offer this innovative new treatment. You can explore our site to learn more about vampire facials and our other spa treatments, and if you sign up for a spa membership, you can get up to 20% off all our services! Visit Beach Body Health Club in Miami Beach or call today to learn more!